Fully Illuminated Totems for shops, garage forecourts, display posters. 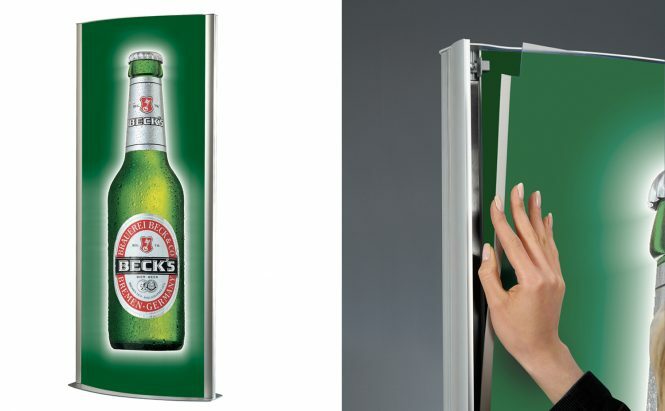 Our illuminated totems have an elegant convex design with front opening snap frame sides for quick and easy poster change. They come complete with an anti-glare PET poster cover for print protection which is permanently fixed on one side with a magnetic seal on the other to hold media in place. Fluorescent tubes provide the internal illumination and a 2m cable and plug comes as standard. Available in 600mm x 1700mm, 700mm x 1700mm and 800mm x 1700mm. 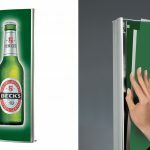 Ideal for display of large posters, advertisements, directional information and menus. Easy to change media options.